How many times do we wish we could step into a luxury spa at the end of the day? That thought motivated the Zaura’s to remodel their master bath & bedroom in their Wheaton home. After a weekend getaway to the Kohler Spa, the Zaura’s decided it was time to bring their inspiration home. By combining their master bedroom, bath and a guest bedroom, a true master bedroom suite was designed. The new plan included a luxury spa master bath, master bedroom and expanded master closet with an upstairs laundry. Through efficient use of space, the master bath includes separate his & hers sinks, a luxury shower and private toilet area. Natural stone floors, porcelain tile, and mosaic stone created the spa like environment that wraps you into relaxation. 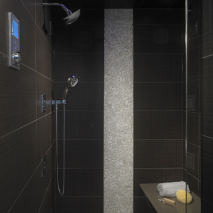 Their state of art Kohler DTV custom shower system re-created the multi-sensory experience of the Kohler Spa. The “total” environment options include hydro therapy choices of temperature, spray, pressure, slant and more. 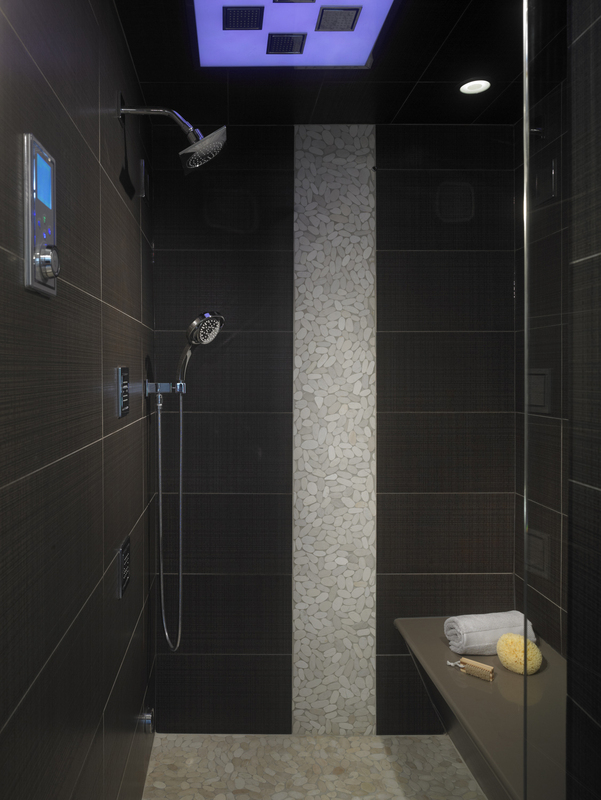 Custom music and lighting selections add to options they can program with their luxurious shower system. The Zaura’s attention to detail in the selection of cabinets, lighting and accessories truly complete this statement of understated elegance. No reason not to be treated with luxury! Just walk thru the door…..YES! 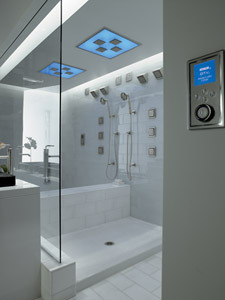 Kohler’s DTV shower system creates your own personal hydro therapy experience. Translated for the Zaura’s, their elegantly understated shower indulges them with a multi -sensory shower experience.